One of my favorite hair products is the Moroccan Oil Treatment. 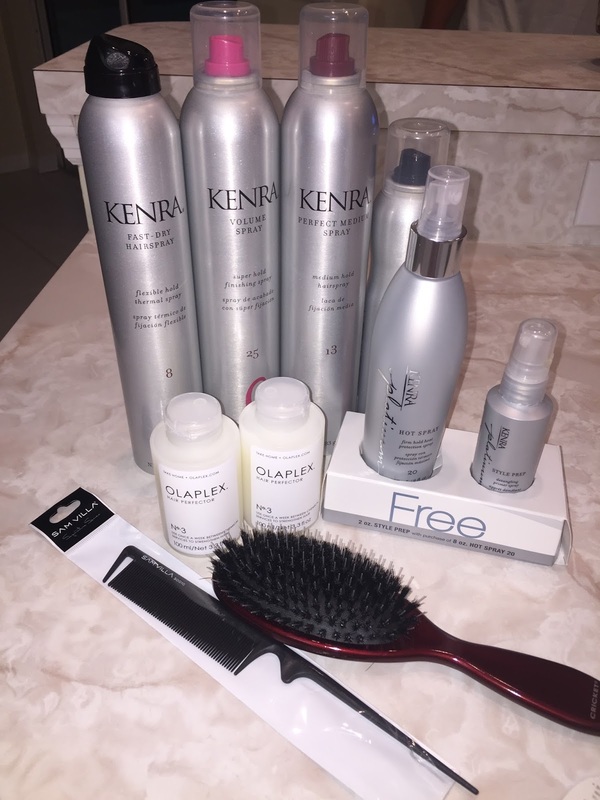 I use it every day on my hair and I also always use a heat protector. I also dont wash my hair every day ( I have really dry hair) if you have oily/straight hair you might not be able to get away with doing this! Either way I always suggest using a heat protector so you dont fry your hair when using a curler/straightener. Moroccanoil Treatment’s versatile, nourishing and residue-free formula can be used as a conditioning, styling and finishing tool. Moroccanoil is an ultra-light formula which is absorbed by the hair instantly, resulting in a natural, silky finish and brilliant shine. 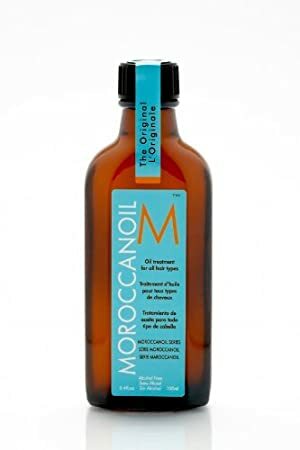 Moroccanoil has the ability to restore over-processed hair damaged by environmental factors and chemical procedures - it also revives, hydrates and detangles hair, wigs and hair extensions. I just got this new bronzer that I LOVE!! 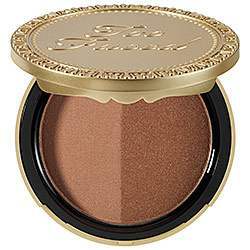 I used mac prior but this bronzer is amazing and adds the perfect amount of shimmer for that sun kissed glow! Enjoy year-round bronzed perfection with the most natural glow this side of Monaco. The silky golden warmth combined with a pink under-toned bronze mimics a natural tan without any of the orangey ick. So, save your skin and stop harassing your travel agent, and just fake your bake like a Hollywood starlet! 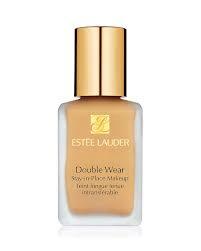 My favorite foundation which I have tried several (Chanel, MAC, Dior) Is still and seems to always remain even when I attempt to change it up Estee Lauder Double Wear. I cant stop using it! I have been wearing it for years and its the only foundation that I can put on in the morning go to work & work out and still look like I have a full face of makeup on. Its covers all my imperfections but is light enough that I feel like my skin can breathe. If your looking for a great foundation I would recommend getting a sample. They will give you enough for almost a week if you go the Estee Lauder makeup counter. Flawless with true staying power. With Double Wear Stay-in-Place Makeup SPF 10, the flawless look you see in the morning is the look you keep all day. This worry-free, long-wearing makeup stays fresh, looks natural through heat, humidity, nonstop activity. Won't change color, smudge or come off on clothes. Smooth it on once and don't think twice about it. 1 oz. You can purchase Anastasia Eyebrow Products at Nordstroms, Ulta, & Sephora! Anastasia Eyebrow pencil is my favorite! My pet peeve is when girls "draw on" their eyebrows. It looks so unnatural to me! I discovered Anastasia's collection while shopping with my mom in Nordstrom's. They have a counter their where you can get your eyebrows waxed. Its around $30 and well worth it my opinion they shape and spend at least 30 mins on your eyebrows. Kim Kardashian is a big fan of Anastasia and uses her products on her eyebrows too! It should come as no surprise that the woman behind Kim’s perfect shape is the biggest name in eyebrows! I’ve been using Anastasia Beverly Hill brow grooming products ever since I was old enough to care about my eyebrows! The Perfect Brow Pencil is the only thing I’ll use to define my brows. It comes in so many shades that you’re sure to match your natural color and the spooli on the opposite end of the pencil ensures that the product is distributed evenly. © 2013 Sweet Little Southern Charm. Powered by Blogger.